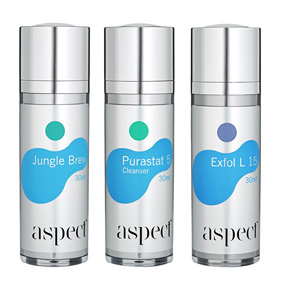 Aspect Post Care Kit is the perfect calming and soothing skin support system following in-clinic procedures. 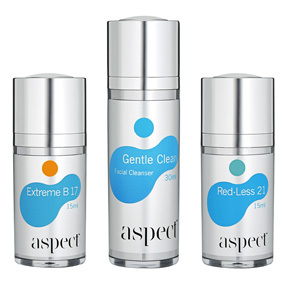 Aspect Problem Skin Kit is the solution for clients concerned with problematic skin of all ages. 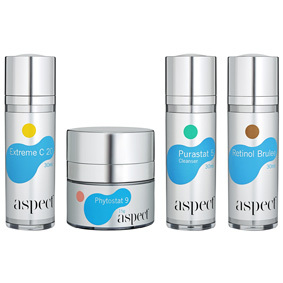 The Aspect Starter Kit is the essential starting point for those new to clinical cosmeceuticals. 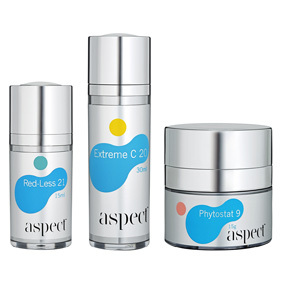 Aspect Age Management Kit is the ideal way to introduce clients who are concerned with ageing to the Aspect range. 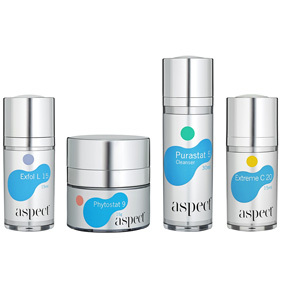 Aspect Blush Free Kit is perfect for clients experiencing concerns associated with skin redness, stress, irritation and reactivity. 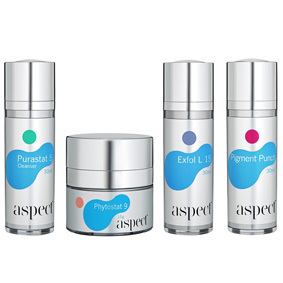 Aspect Brightening Skin Kit provides clients with a complete skin brightening system containing four key products selected specifically for the cosmetic management of skin pigmentation and discolouration. 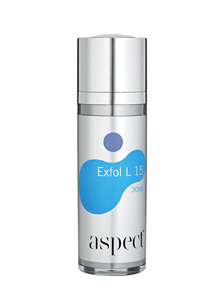 Aspect Exfol L 15 is an exfoliating night serum. For exfoliating and assists in deeper delivery of nutrients. 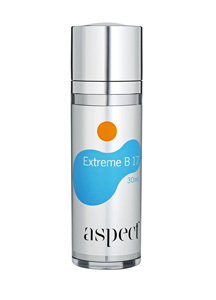 Aspect Extreme B17 is a niacinamide (Vitamin B3) antioxidant serum. For Hydrating, Calming, Brightening, Energises, Mattifying and Detoxifying. 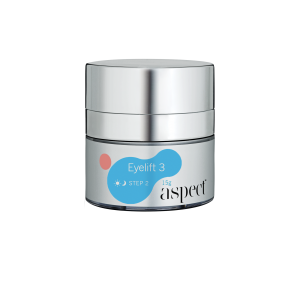 Aspect Eyelift 3 is a firming eye serum. 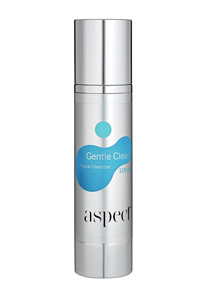 Aspect Gentle Clean Facial Cleanser is a gentle foaming cleanser. 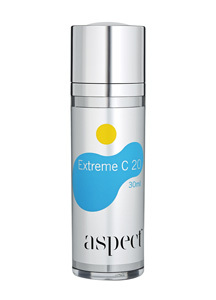 For Conditioning, Soothing, Antioxidant protection and removes makeup. 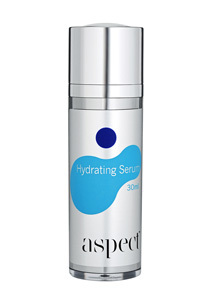 Aspect Hydrating Serum is a unique blend of high and low molecular weight hyaluronic acid effectively replenishes the skins moisture content.